We are so proud of the men we have working for us! They are very knowledgeable, friendly and good hard workers! They can answer all your questions about fireplaces and chimneys and get your system in tip top condition! Meet Larry. He is the anchor of our team! He is the head of our masonry repair and construction crew. 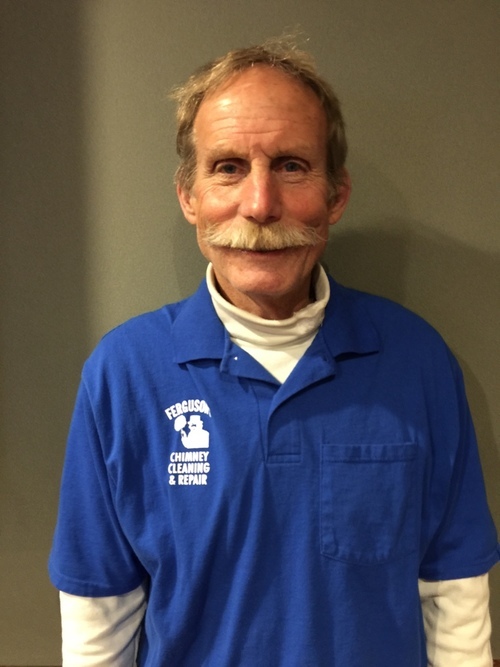 Larry is our lead mason and has over 40 years of experience and he is willing to do whatever it takes to make the job happen! Larry is married to Diane and they have two grown boys. Larry has a great sense of humor! He brings with him a great skill set. He is a great mason, a good mechanic and has the ability to pay attention to the details of the project so that every job is a great job! He may also have the best mustache in Northeast Ohio! Tom is one of the hardest workers you will ever meet. 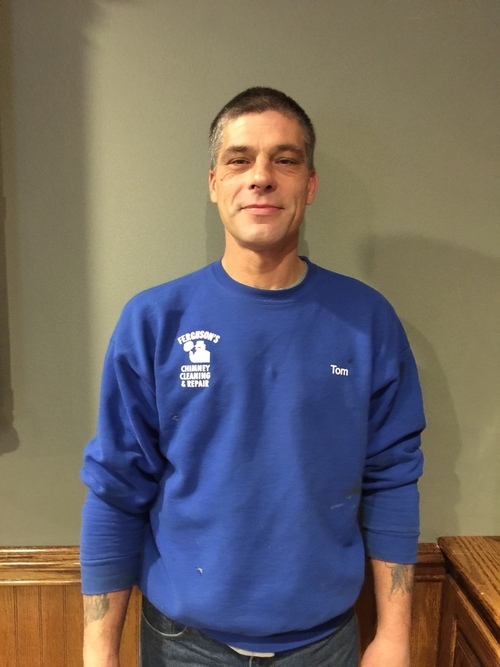 Matt is also a certified chimney professional and runs the cleaning crew with Tim. 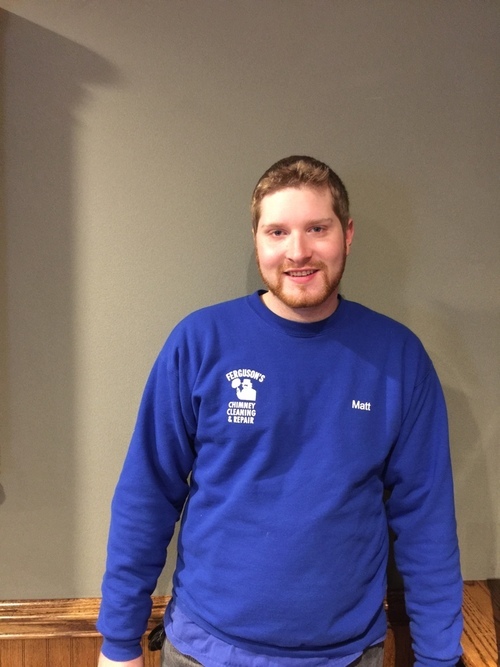 Matt will check your chimney inside and out and if there are any repairs needing to be done, he can explain them and give you an estimate for those repairs.